•• The Confession (1×03): President Kirkman and his staff work to keep a high-level security breach of the White House a secret just as he’s about to give his first television interview. Meanwhile, the FBI continues to investigate the Capitol bombing, and Agent Hannah Wells starts to develop her own theories about who was really behind the attack, on ABC’s “Designated Survivor,” Wednesday October 5. (10:00–11:00 p.m. EDT). •• Netflix has taken international streaming rights (excluding North America) to Kiefer Sutherland’s ABC drama Designated Survivor, following a deal with Entertainment One (eOne). The conspiracy thriller, which premiered in the US and Canada on Wednesday at 22.00 (ET), hails from eOne’s The Mark Gordon Company and ABC Studios. US SVoD service Netflix is making episodes available weekly outside of North America as they air on ABC. The deal follows initial speculation about a pact during the LA Screenings in May. Designated Survivor sees Sutherland, who will attend Mipcom in Cannes next month, play a low-level politician who becomes US president after an attack in Washington DC. The drama was created by David Guggenheim, who executive produces with Simon Kinberg, Kiefer Sutherland, Mark Gordon, Nick Pepper, Suzan Bymel and Aditya Sood, alongside showrunner Jon Feldman. •• The First Day (1×02): Hours after the attack on the Capitol, President Kirkman steps into his role as Commander-in-Chief in the midst of chaos and confusion. Facing dangerous new challenges and adversaries, Kirman struggles to hold a country together that is on the brink of falling apart. 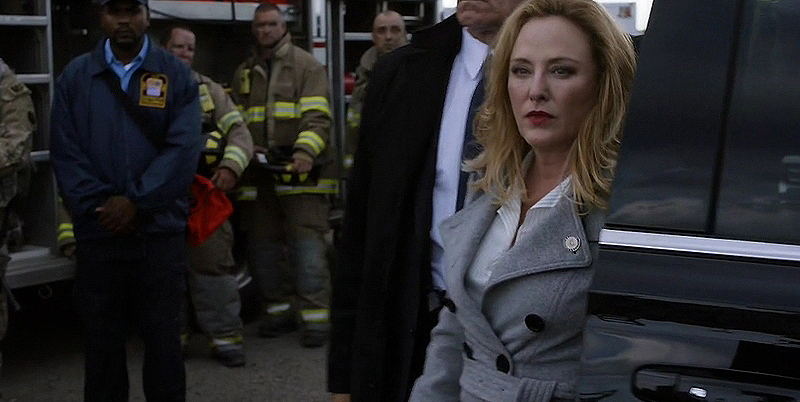 Virginia Madsen guest stars on the highly anticipated ABC series “Designated Survivor,” Wednesday, September 28 (10:00–11:00 p.m. EDT). Virginia Madsen will be on Season Five of Elementary! •• Two cast members reprise their roles as their love stories will be tackled in “Elementary” Season 5. Cast member Betty Gilpin officially returns in “Elementary” Season 5. According to Ecumenical News, the 29-year-old American actress will reprise her role as Fiona Helbron. Gilpin’s character will reappear after the first few episodes of the show. She is described as a genius and introvert software engineer. 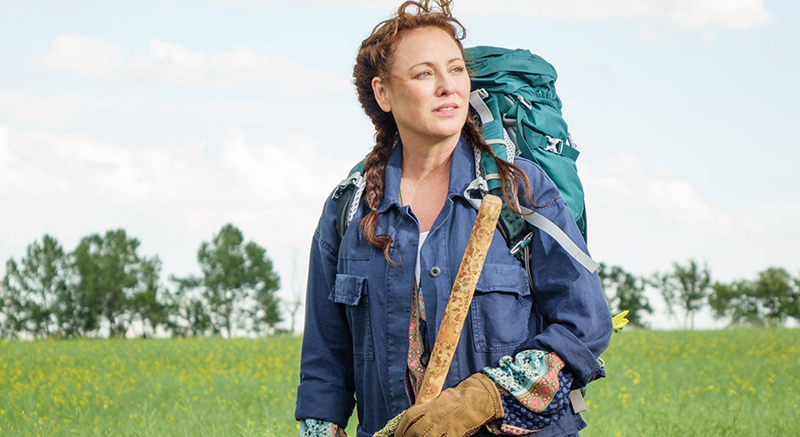 Virginia Madsen will reprise her role as Paige. Paige happens to be Captain Thomas Gregson’s (Aidan Quinn) lover. The 55-year-old American actress and producer will reappear in Episode 3. Virginia Madsen first appeared in Season 4 Episode 15, “Up to Heaven and Down to Hell”. It is the episode where it was revealed that Gregson and Paige are already dating for a year now. “Elementary” Season 5 Episode 1 is scheduled to air on Sunday, Oct. 2, at 10:00 p.m. first and exclusive on CBS Network. •• Fall is the time when the big Hollywood studios trot out their Oscar-bait movies, which means many good films are on the way to the multiplexes. But the bounty of good entertainment doesn’t end there. Small venues throughout the state are planning fun, eclectic lineups of foreign, classic and independent films. Also, there are plenty of film festivals coming this way for all kinds of tastes: Spanish-language films, Irish films, LGBT-themed films, short films. And don’t forget the super-popular Met Live in HD opera series.